Electrolux Screen refrigerator the new “WoW” refrigerators will look a bit out of place even in the most contemporary kitchen. “WoW” means war on white…. That I didn’t know ! 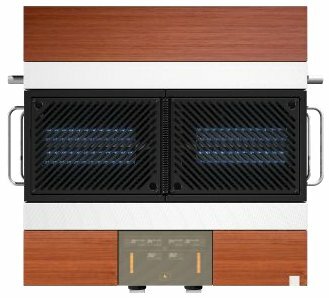 The Fuego 01 grill can switch from coal to infrared to gas by swapping out a side drawer, and comes with all sorts of gadgetry to make the barbecue-er within us get all weak in the knees. 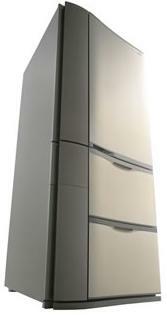 The Panasonic refrigerator, Industrial Design Excellence Award. Panasonic designed NR-P550T with two-way fully accessible slide-out pantry that makes storing and accessing various small items much easier than in the typical refrigerators. Stainless steel finish and sleek lines make this refrigerator quite appealing. Samsung’s vacuums, the VC-RS60 and VC-RS60H run at a relatively speedy 1.3-feet per second, and can manage about an hour of work before a charge. The new versatile Samsung QuatroCooling Convertible refrigerator is side-by-side refrigerator with 2 distinct drawer compartments on the bottom. 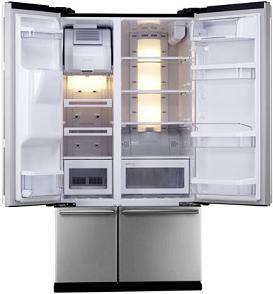 Not only this innovative 4-door convertible refrigerator has 4 separate compartments. 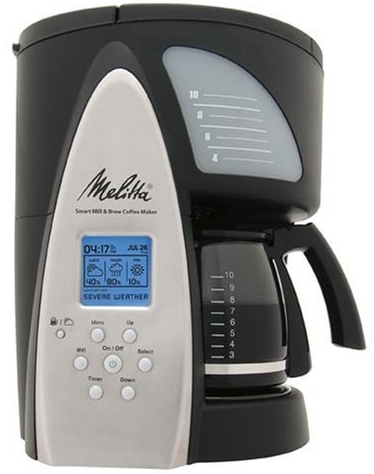 The $250 MSRP coffeemaker displays up-to-the-minute weather information via MSN’s FM sub-carrier broadcast network without requiring a subscription – just plug it in wherever you can get a radio signal (most of the continental US is covered), and off you go to caffeinated meteorological heaven. The Sub-Zero refrigeration range is an integrated tall combination of upper refrigerator, freezer, ice maker and storage drawers. The wood panels will make this Sub-Zero refrigerator range blend nicely with your kitchen decor. 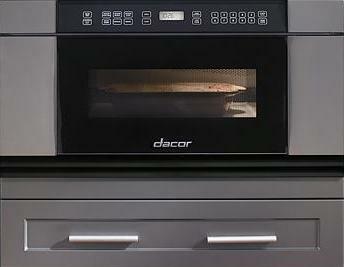 Dual refrigeration system with two distinct temperature zones. Open door alarm. Door panels and handles are available in three finishes – classic, platinum and carbon stainless steel. Sub-Zero. 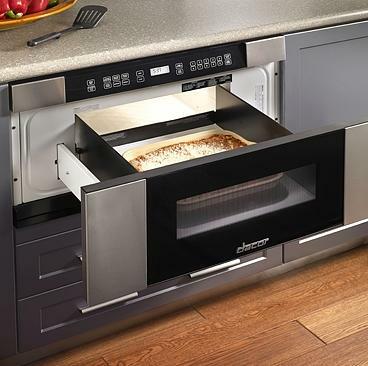 Millennia Microwave In-A-Drawer has a unique drawer configuration that increases installation possibilities and offers much improved safety than standard built-in microwaves. In addition to packing a pile of dirt-storing capacity, the AirForce central vacuum incorporates Universal Powerline Bus (UPB) technology to provide Internet access to the vacuum over your home’s AC wiring. Which means that it’ll send an email to let you know when its bag needs replacing, or if it encounters other problems like a clog or overheating. 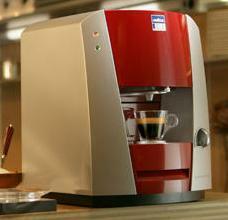 Now Lavazza came up with the espresso machine to match its beans – Lavazza Blue espresso machine, LB 1000, designed by Pininfarina. Lavazza Blue functions exclusively with Lavazza Blue capsules. Available in orange, dark grey, gold, azure, red, light grey and blue.